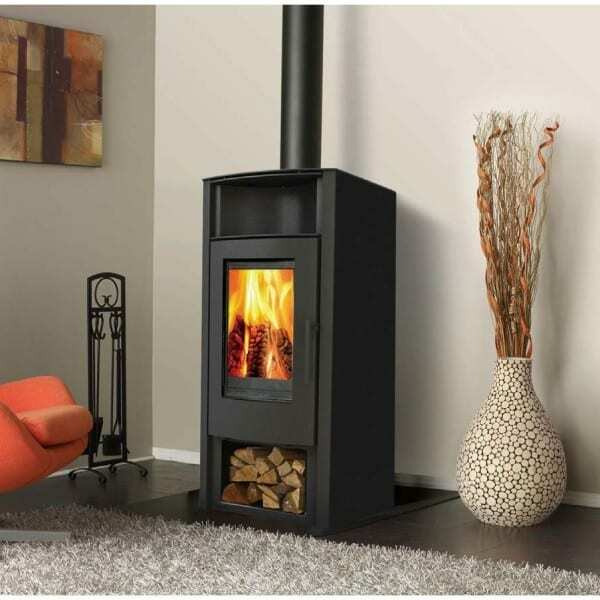 The Aeris slow combustion wood fireplace is part of the Canature range. Canature is a Canadian fireplace design company. 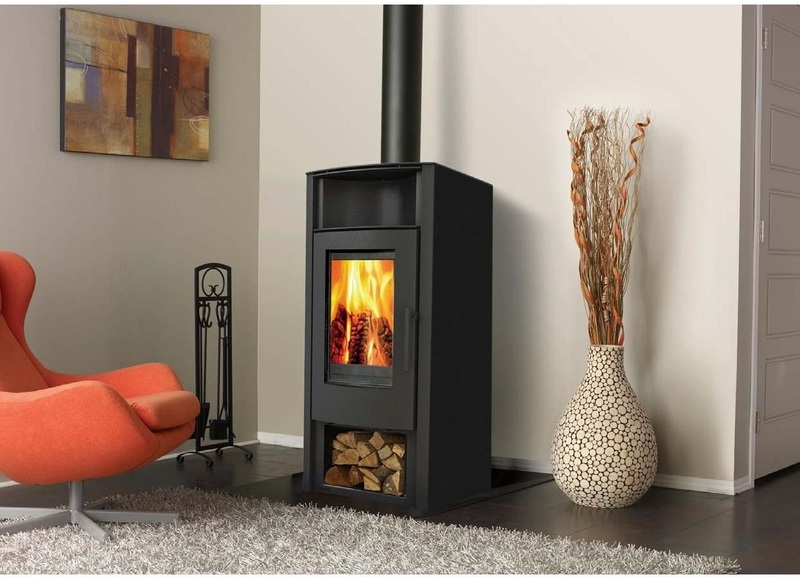 The Aries can only be used as freestanding closed wood burning fireplace and comes standard in matt black with a black fascia. A slow combustion wood fireplace is very efficient and economical to run due to its slow burning of the wood. 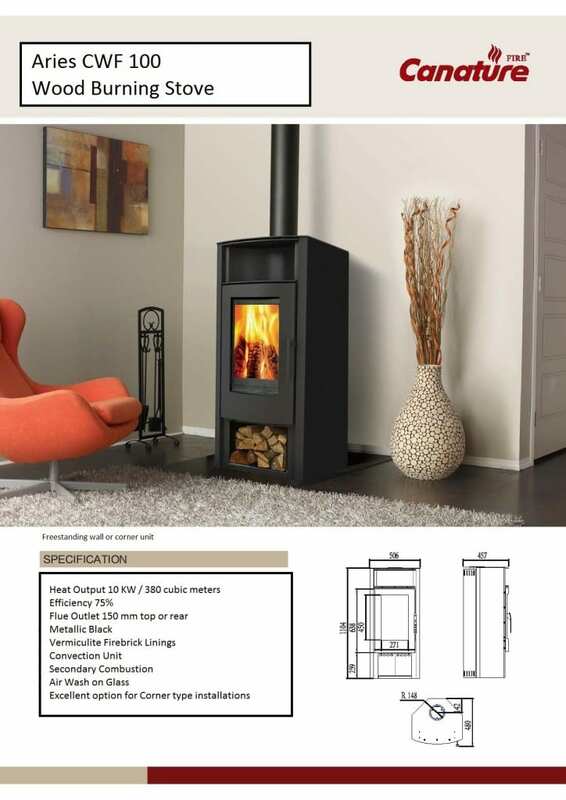 The Aeris slow combustion wood fireplace can heat up to 380 cubic meters with an output of 10kw. The Aeris has a base that doubles as a wood storage compartment. Vermiculite firebricks lines the combustion chamber with a flue outlet of 150mm.